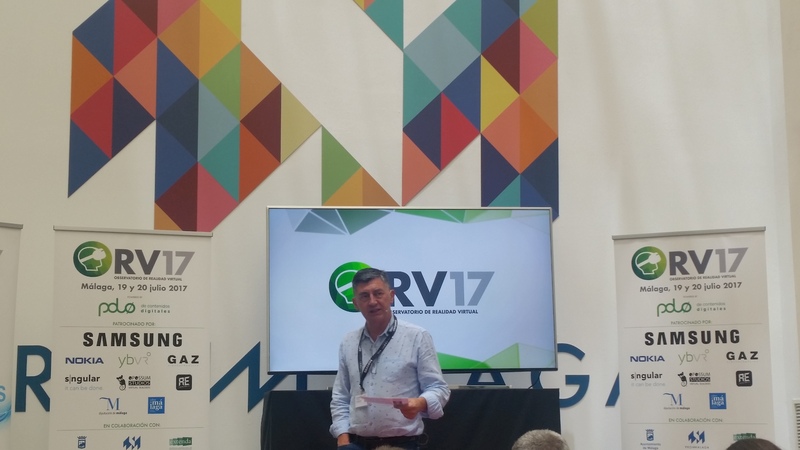 The first edition of the Observatory of Virtual Reality (OVR 2017) was held in Málaga from the 20th till the 21st of July 2017. 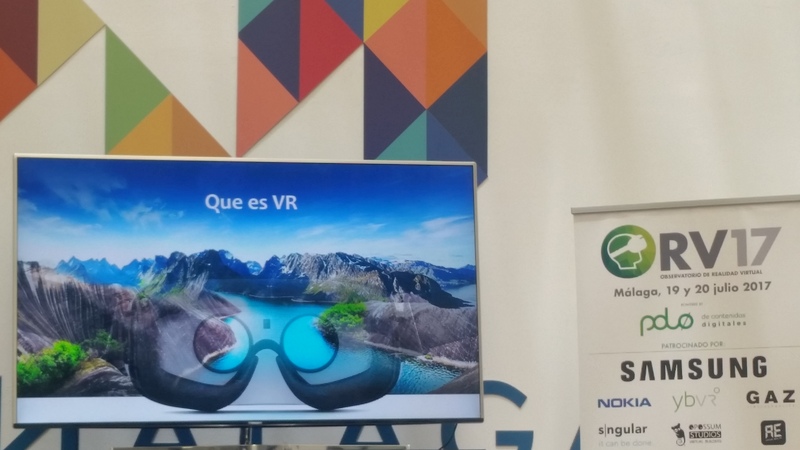 Several key people fron international organizations, industry, and academia presented their views on this exciting area: Their talks covered many application areas related to these technologies like Virtual Reality, Augmented Reality, Mixed Reality, 360, eSports, and Videogames. 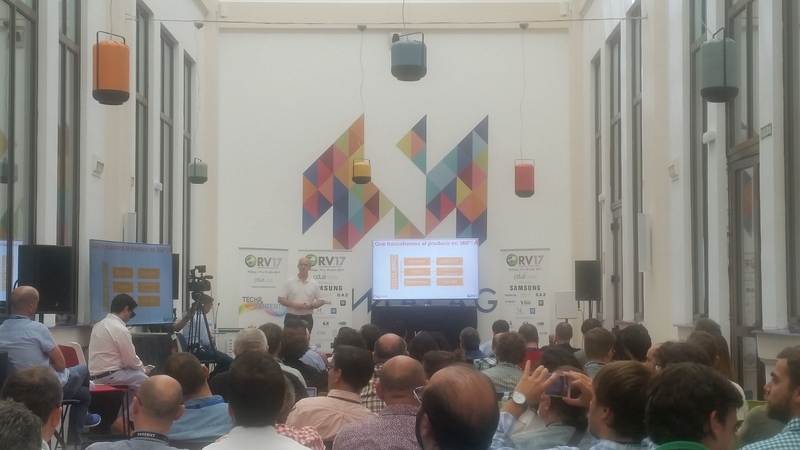 It was apparent that these new fields require continue experimentation and that will take many years to achieve its optimization. 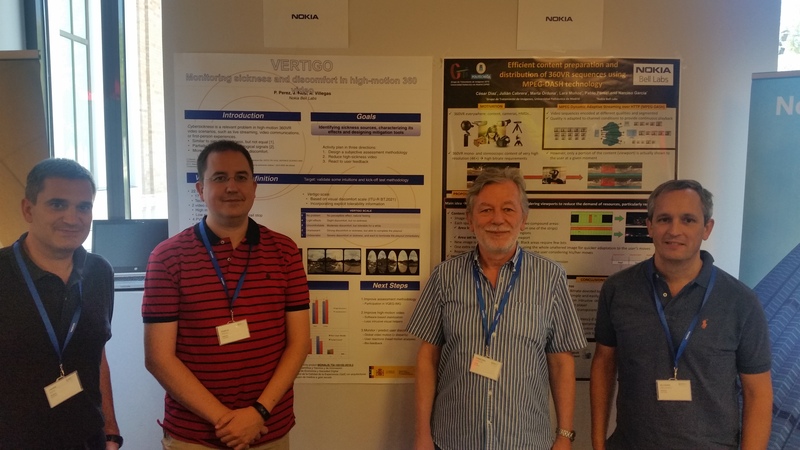 GTI presented a poster within the Nokia Bell labs stand on their joint work on "Efficient content preparation and distribution of 360VR sequences using MPEG-DASH technology". This work looks for new techniques to pave the way for the smooth and stable delivery of 360 degree video content to users. 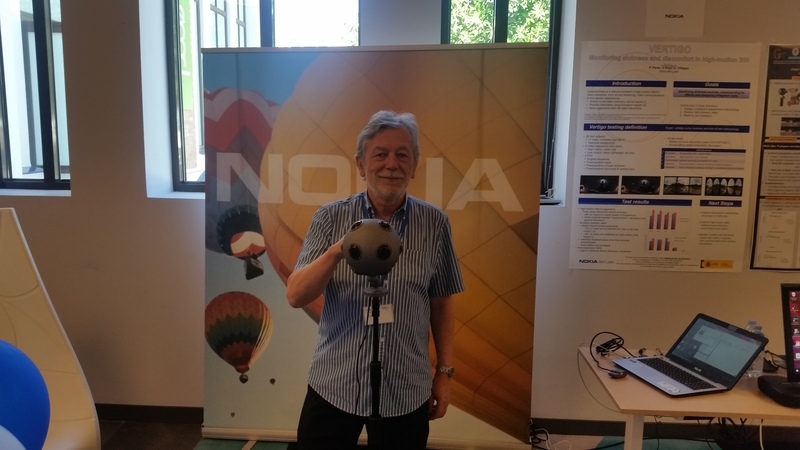 So, a transmission bitrate reduction is achieved through a straightforward, yet effective, modification of the 360 degree video content presented to the user and a fine-tuned reception buffer control implementation. These improvements enable a quick adaptation to the movements of the user and are implemented without interfering with the encoding, decoding or display processes. 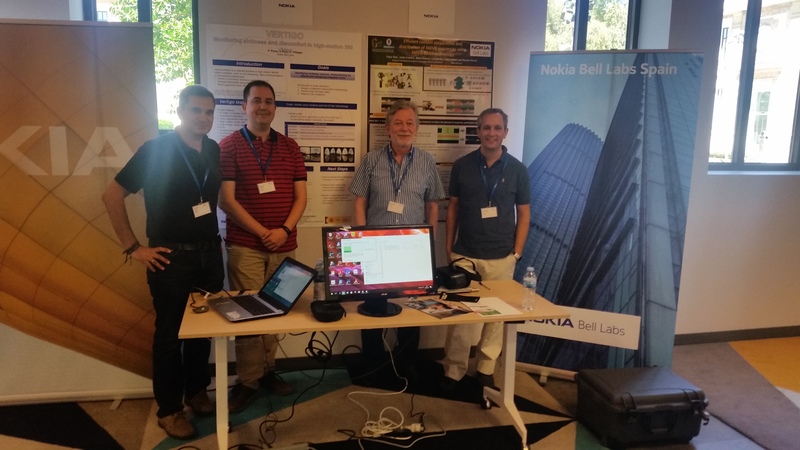 This work has been done within projects TRANVIDEOADAP and MONALIS in collaboration with Nokia Bell Labs.